BUTUAN CITY, Oct. 7 (PIA) – The Caraga Regional Development Council (RDC) has recently revalidated the Caraga Regional Development Investment Plan (RDIP) 2013-2016, and subsequently approved and adopted during the 76th RDC Meeting held at the LJ Mega Convention Hall, this city. 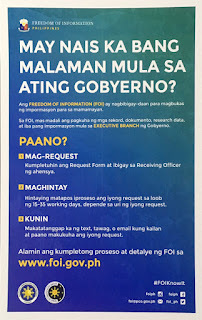 Department of the Interior and Local Government (DILG) Caraga Regional Director Lilibeth Famacion, recalled that the Office of the President issued Memorandum Circular No. 43 on February 4, 2013, “Directing the Updating of the Philippine Development Plan (PDP) and the Revalidation of the Results Matrix and the Public Investment Program (PIP) for 2011-2016. “With this issuance, the RDIPs were likewise ordered to be revisited, updated then revalidated,” she said. “The Revalidated RDIP aims to veer away from the traditional identification of all the priority programs and projects of the government and shall instead focus on strategic core investment programs/projects (CIP) of the agency regional offices (AROs), state universities and colleges (SUCs), and the local government units (LGUs),” added Famacion. Famacion further said that the Revalidated RDIP translates the objectives and strategies of the Updated RDP into concrete programs, projects and activities (PPAs) to be implemented by the AROs, SUCs, and LGUs. 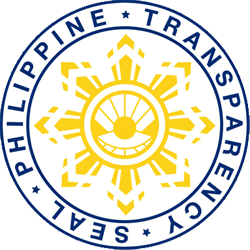 To be considered a strategic CIP, the programs and projects were subjected to the following parameters: a) Alingment and consistency with all of the following parameters: Priorities in the President’s Social Contract with the Filipino People, namely: transparency, accountability, and open governance; poverty reduction and empowerment of the poor and the vulnerable; rapid, inclusive and sustained economic growth; just and lasting peace and the rule of law; and integrity of the environment and climate change adaptation and mitigation; F.A.M.E. Center Goal of the RDP and its corresponding development objectives; Sectoral Logical Frameworks/Revalidated RMs; Achievement of the Millennium Development Goals; and Gender Respnsiveness. Also, the new major capital programs and projects are: Capital forming programs and projects (hard infrastructure development or soft infrastructure such as institutional and human resource capacity building) which would contribute directly to the region’s productive capacity as well as to the achievement of higher living standards; those that are implemented by AROs regardless of financing and/or implemented through NG-supported local government projects; and with budgetary implications for 2013-2016 budget. It was also learned that the PPAs in the Revalidated RDIP are categorized into five funding sources, namely: 1) Programs and Projects for National Government Funding; 2) Programs and Projects for Local Government Funding; 3) Programs and Projects for ODA Funding; 4) Programs and Projects for GOCC and GFI; and 5) Programs and Projects for Private Sector Funding. BUTUAN CITY, Oct. 7 (PIA) – The Gender and Development (GAD) Learning Day Care Center (DCC) of this city held on Friday its 1st Quarter Recognition Program. Each preschooler received awards based on outstanding performance in various areas of learning with special citation of child’s key strength. Fe T. Labitad, GAD Learning DCC in-charge, said that all 47 young children enrollees got the real advantage of holistic development through GAD day care center’s implementation of seven domain and multiple intelligence approach. Aldeberan Mordeno, city social welfare officer, recognized the stable support of parents and GAD day care workers. “I commend Fe Labitad and her staff for their capability to yield well-rounded children. Parents can have the assurance of acquiring positive outcome for entrusting their children to them,” she expressed in her address. Meanwhile, city DCC district supervisor Liz Pontimar, revealed the evaluation result for accreditation of gender and development DCC. “I congratulate everyone and I’m glad to inform you that GAD Learning DCC is recognized of its outstanding compliance and highly competent performance in the implementation of Early Childhood Care and Development Center-based Programs. It means that this institution is worthy of recognition as one of the best performing day care centers in Caraga,” she emphasized. BUTUAN CITY, Oct. 7 (PIA) – The Caraga Regional Development Council (RDC) has approved and adopted the revised Caraga Regional Development Plan (RDP) 2013-2016, during the 76th RDC Meeting held at the LJ Mega Convention Hall, this city. In his discussion, Engr. Leonil Santos of the private sector, relayed that RDP 2011-2016 which was approved and adopted by the RDC through Resolution No. 23, series of 2010, is now on its third year of implementation. “For the past two years of plan implementation, the region has performed exceptionally well based on the National Statistics Coordination Board’s data on GRDPs. However, human development remains a persistent challenge with poverty incidence among families at high levels. Hence, it is timely to assess and revise the plan to identify appropriate strategies that will strengthen the region’s continued quest for development in the remaining three years of Aquino administration,” said Santos. Santos further said that the revision is very crucial as it will guide the region in all its development efforts in the next three years. It will also trigger the preparation of the Regional Development Investment Program (RDIP), the plan’s operational document, which will identify the priority programs, projects and activities of the region. “To achieve inclusive growth and reduce poverty shall continue to be the main focus of the plan. Inclusive growth has three critical elements, namely: 1) high and sustained economic growth; 2) growth that generates mass employment, drawing majority of our people into the economic and social mainstream; and 3) growth that reduces poverty and facilitates the achievement of the millennium development goals,” added Santos. The attainment of inclusive growth requires the implementation of the following key strategies which are consistent with national development agenda: boosting competiveness in the productive sectors to generate high quality decent jobs and quality employment; investing massively in infrastructures; developing human resources through improved social services and protection; improving access to financing to address the evolving needs of a diverse public; and promoting education, science and technology to attain higher productivity. “These strategies shall be implemented upon a platform of: transparent and responsive governance; sustained national security and peace; and ecological integrity that includes adaptation to and mitigation of the potential impacts of environmental factors,” stressed Santos. It was also learned that in the revision of said plan, the council has undergone a series of consultations with the various stakeholders of the five provinces and six cities of the region. The comments generated during the consultations were considered in the draft plan. Also, the committees under the RDC have favorably endorsed the revised plan during its third quarter meetings. BUTUAN CITY, Oct. 7 (PIA) - The Provincial Science and Technology Center – Agusan del Norte (PSTC-AdN) in collaboration with the city government of Butuan spearheaded the Time and Motion (T&M) study on water hyacinth sandals making, recently. The T & M study was part of the Department of Science and Technology’s (DOST) technology intervention project dubbed “Strengthening the Capability of Water Hyacinth Handicraft Community in Butuan City” to improve the competitiveness of water hyacinth-based handicraft industry. The study was participated by Ivory .07 Arts and Crafts Association and Butuan City Population Office. According to DOST, water hyacinth is abundant in the city especially along its waterways causing serious environmental problem. The plants blocked the river and canals’ water flow thereby causing flood. Recognizing the potential of water hyacinth processing as the city’s thriving economic industry, Mayor Ferdinand M. Amante, Jr. initiated the introduction of water hyacinth as a livelihood program for women. The program was implemented as a joint partnership of the city government of Butuan, DTI-Agusan del Norte and DOST. As a result, the Ivory .07 Arts and Crafts Association, a group of housewives who were trained to create handicrafts using water hyacinth as material, was formed. Their main products are the water hyacinth sandals and slippers in various colors and designs. Considering the intense competition in the local and global market of handicraft, the T & M study was used to establish a time standard and to find ways in improving the processors’ productivity. During the study, the time and movements spent by the craftsmen in making sandals were recorded and analyzed. This served as an input in identifying area that needs technology improvement to optimize workers’ productivity and minimize materials wastage in production. In retrospect, the bottom-line of the study is to enhance the value chain of water hyacinth processing sector in Butuan City through technology infusion. AGUSAN DEL SUR, Oct. 7 (PIA) - The Agusan del Sur Electric Cooperative Inc. (ASELCO) has asked the 107 beneficiaries of the 2013 Batch II of the Barangay Line Enhancement Program (BLEP) and the Sitio Electrification Program (SEP) to provide lodging or place to sleep and rest to workers who will install the electrical system in their places and ensure their safety while they are in their respective areas. Power Use and House wiring Section head Elmer Gavino calls on the beneficiaries of the PNoy’s BLEP and SEP during a consultative and coordination meeting late last week, in order to ensure the safety of workers and fast implementation of the project. “This is one of your counterparts in the implementation of the project of the President in order that we can ensure the fast implementation of the project even before the deadline on December of this year. With this, we can expect that your Christmas will be merry and bright,” Gavino said. BLEP and SEP project manager Aureo Mondejar said the target for the second batch of the program for this year are 104 sitios and three barangays in Esperanza. “We will install and energize electric power to a maximum of 60 households with P4,260 budget per household in each sitio. But of course, many sitios have below 60 households, but many sitios have also more than 60 households so the budget of the government will be more or less even. The government budget will cover the cost of electrical wiring not to exceed 20 meters per household, electric meter, electrical posts, labor and other incidental expenses.Each household must also have their counterpart in the amount of P837.24 to cover inspection fee, membership fee, aid to construction, meterbox etc. and the lodging of our workers plus their safety,” Mondejar said.